Who has the best tamales in Phoenix? Fear not, I’m on the trail! In the Southwest, much like my experiences in Hispanic-influenced California, tamales are an important part of holiday eating. I’ve only just moved to Phoenix, but that doesn’t stop me from wanting to dive right in. I’m a sucker for food challenges. I spent a week in Hilo Hawaii researching and trying many, many loco moco dishes and I’m going to happily invest a lot of time figuring out who has the best tamales in Phoenix. First of all, some of you may not know what a tamale is. 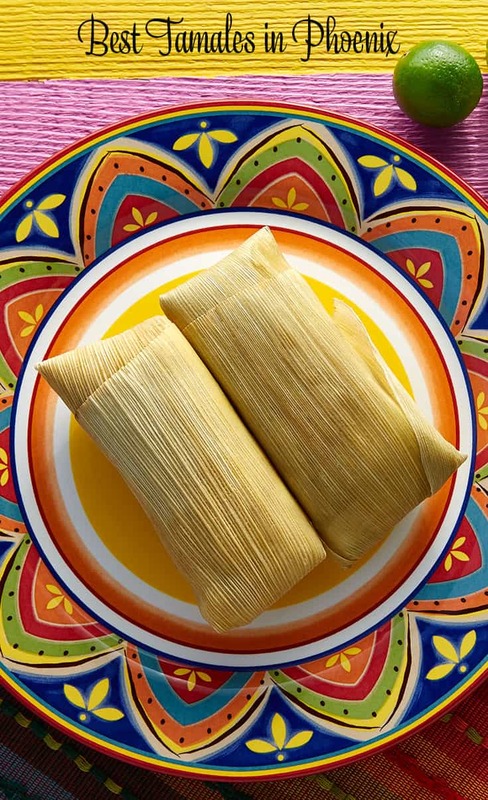 Tamales are delicious packets of goodness, made with a corn-based masa flour that is stuffed with meat, seafood, cheese or beans and enfolded into a corn husk (or banana leaf depending on the region) and steamed. Then either a red or green sauce is poured on top. But why tamales at Christmas? Corn was a very important crop for the MesoAmerican farmers and food wrapped in corn and corn husks served as an offering. From there, tamales began to be an essential part of holidays or special occasions like weddings, baptisms, Christmas, and these days, Thanksgiving. 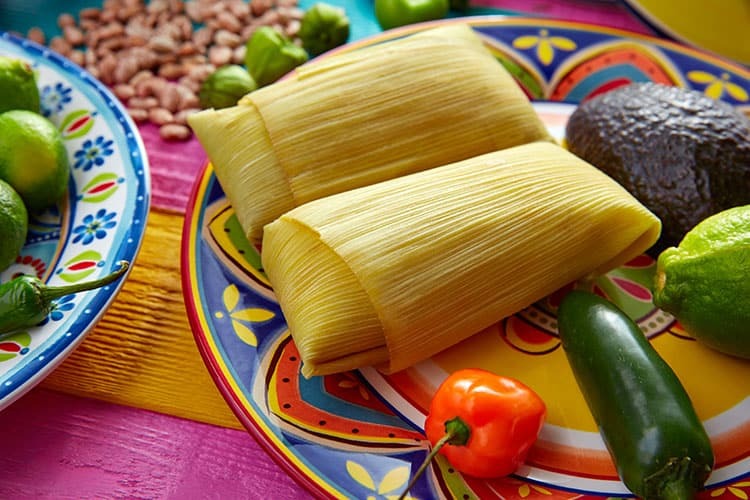 If you are lucky enough to have Hispanic friends and family then during the holidays you will likely partake in a tamale-making-and-eating feast known as a tamalada. Making tamales takes work and the tamale making process is a social event that allows friends and family to catch up and to make bunches and bunches of tamales to share and enjoy. Please, will someone invite me to one? Personally, I want to make tamales with Ms. Lagunas who I was introduced to by this NY Times article where she explains the tradition of tamales. In the meantime, I’ve asked some local metro Phoenix area bloggers to help me out a bit and they’ve got some great recommendations. So whether you are visiting Phoenix for the holidays (lots of people do!) 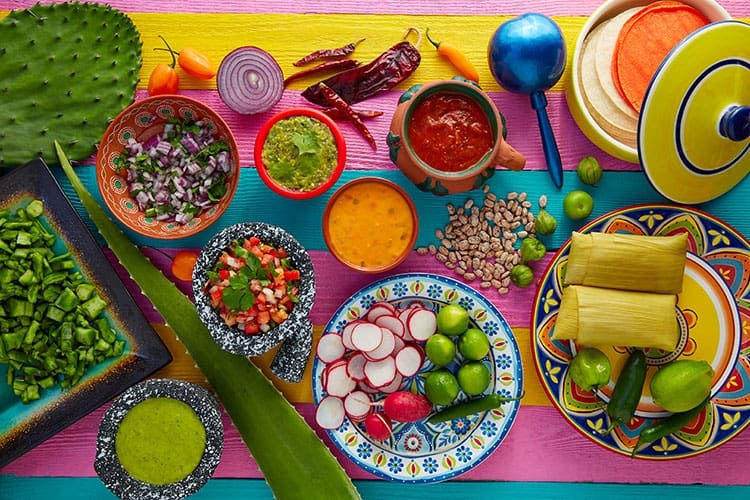 or any other time of the year, check these tamale spots out! In the Southwest, tamales are synonymous with the holidays, so it goes without saying that there are options galore in the Valley of the Sun. When I’m organizing a holiday event or want to treat out of towners to some of the finest tamales in town, I don’t head into the kitchen; I place my order with The Tamale Store. With options like chicken chipotle, pork green chile, Arizona cornbread with Colby jack along with their sweet corn tamale, The Tamale Store has something that will please the palate of everyone you know. I love that all the tamales sold here are made fresh daily in small batches and are great for those with gluten and soy sensitivities (mostly.) The tamales here are bursting at the seams with fresh, flavorful fillings and the masa they use is some of the best I’ve tasted. My personal favorite is the beef red chile due to the slow and steady heat of the red chile sauce and the superb fusion of Mexican spices. It’s the spirit and flavor of Arizona on a plate. The family-run The Tamale Store has been on the lists of “best tamales in Phoenix” every year since it opened in 2008. A few years ago, I saw one of these lists which encouraged my partner and I to order a batch of their tamales (chicken and pork) which are handmade from scratch each day. The tamales did not disappoint, they were delicious and generously filled with high-quality ingredients. I’ve only tried a couple of their meat options, but they also have several vegetarian and vegan options that also sound really yummy. You can get their tamales by pre-ordering, going directly to their shop, or visiting their stand at one of the local farmer’s markets. The Tamale Store in Phoenix, 13046 N Cave Creek Road, Phoenix, AZ 85022. Since both Taryn and Jessica recommend The Tamale Store, I am heading over there first thing! My favorite place to buy them is El Bravo Mexican Food, I go to the one on 7th Street, but they now have a location at the Sky Harbor Airport too, El Bravo Sky Harbor! For 30 years, this restaurant has been making handmade tamales. What makes them so good? Well, for starters, they got the recipe from owner Lorraine Othon’s mother, who started the restaurant a long time ago. They use masa -a sweet, moist, and light dough. Then, there’s the meat – tender shredded beef or chicken. Finally, the sauces-red and green. But the green sauce is actually my favorite. They then cover the tamale with a gravy and melted cheese! El Bravo Mexican Food, 8338 N 7th St, Phoenix, AZ 85020. Of course, if you can’t get to Phoenix for tamales (are you sure?) you can make them at home. I love this post from Delicious Days sharing her grandmother’s story and tamale recipe. How about you? 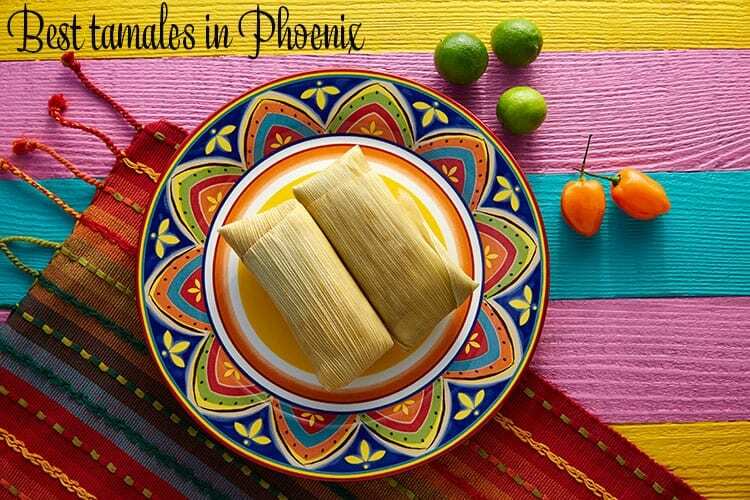 Have you eaten tamales in Phoenix and have a favorite? Do share! Hot tamale! That looks divine. Not sure what I like more: the food or the colorful tables! Can we go on a tamale tour together when I finally make it out there? I love tamales! Love the recommendations from local bloggers as I’ m sure they know their tamales! Haven’t been back in years, but this just makes me want to jump in my car! @Christina, I agree, the locals know best! Thanks for introducing me to Phoenix Bites! Colorful serve ware I haven’t had tamales before! I guess i’m missing out. I just realized I’ve never had a tamale! I need to get myself to Phoenix fast! I have not had tamales, but would like to try making them myself. I love the plate settings and would love to purchase them. They are vibrant and colorful. We love tamales. Just ordered some from a sweet neighbor and can’t wait to dig in! Great roundup for the holiday season! I love getting tamales at this time of year. I love a good tamale! They might just be my favorite mexican food…My classroom aide just brought me some of her homemade tamales for christmas. I have relatives in Phoenix, I’ll have to check this out next time we’re there! I do not think that I have ever eaten a tamale. I would love to try an authentic one if I am ever in the Phoenix area! I would actually love to try some really good authentic tamales. Great recommendations. It would be fun to try a few of these and compare. Yum! I love tamales. I just had some the other day. I’m bookmarking this for my next trip to Phoenix! Wow! Looks so delicious. I have never eaten a ‘Tomale’. When I am next in your part of the world, I will be sampling a few! Tamales are one of my favorites!! These look amazing, I bet the taste is amazing. You had me at tamales! We definitely need to do a tamales date when I come back to Phoenix. Tamales are so delicious! You dont see them a lot where I live, but I sometimes order them online and keep them in the freezer. I’ve never had these before. I will have to make a date with my best friend to go somewhere and try them. I’ve never had real tamales like this. I would so love to try them, it would be worth a trip to go to the best places.